Robert Colls asks what British identity is - and what it is not. 1. National identity is not something governments can invent. It is more a feeling than an opinion and not a policy statement. Like all identities it is not unduly hampered by being difficult to put into words. 2. National identity should not be confused with national values. The values which politicians have tried to lay on Britons are no different from the claims of other states, even nasty ones. If these values bind us, why do they need setting out? If they don’t bind us, in what sense are they ours? 3. Nor is national identity an aggregate of all the diverse values that may exist in a society at any one time. Indeed, a society with high levels of diversity may have to face the fact that it has no identity to speak of. Such a society may equate diversity with tolerance, but tolerance needs the nation there in the first place to do the tolerating. 4. Much recent scholarship stresses the exclusivity of nations but misses the emergent quality of national identity, particularly the process of inviting people to become more equal and alike. In the British case national identity was built on the edging together of state and nation over a long history of political compromise and on a series of modern wars in which the Anglo-British state was remarkably successful. So closely did the British peoples appear to identify with aspects of this settlement, the political class has long been able to claim that it does not need to be regulated by a written constitution. 5. 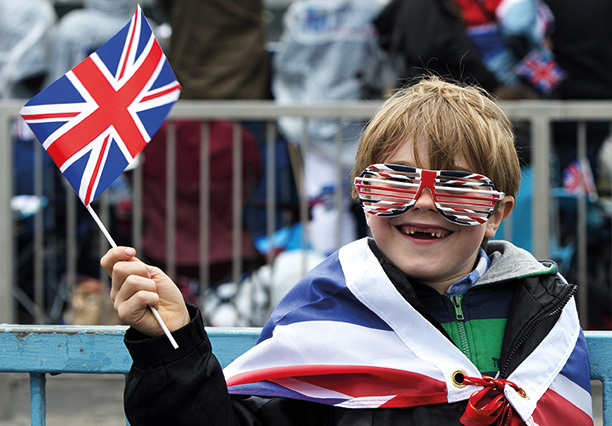 British national identity was not born of a deplorable past. It is true that British dominion was not built according to the principles of the Equal Opportunities Commission and we have to accept, too, that it was interwoven with imperialism and what we now call racism. In this it was not alone among other imperialisms – including republican and socialist imperialisms. At the same time we have to accept that British national identity survived because it was a broadly acceptable expression of the British people, to the British people, if not by the British people. Ireland was the great failure in this regard. Even so, most Irish were late in finding union with Great Britain an unacceptable representation of who they were. 6. British national identity has not always been called that. We have to be ready to deal with different names and concepts. E.P. Thompson and G.A. Williams, for instance, demonstrated that it was through their myths of national origin that the English and Welsh working poor became class conscious. It was clear to them, for example, that being ethnically Welsh or English was incompatible with being a factory slave or a dispossessed debtor. 7. National identity can be expressed in images and representations. But in order to be meaningful it has to fit experience and think of itself as a long-term arrangement. Although there has been much talk in recent years of ‘invented’ nations, all working nation states seek to underwrite the long-term obligations upon which all national relationships depend. 8. National identity is not just that which it is not. Sometimes called a theory of otherness, ‘alterity’ stems from the psycholinguistic disciplines and is ubiquitous in contemporary university teaching. Whole continents and epochs of human experience are being taught to undergraduates in terms of a ‘we’ that relates to an ‘other’. So ‘we’ becomes a very unstable pronoun where all identities are rendered provisional, multiple, situational and relative. There is not even room for the ‘we’ of human nature. But in an individual any notion of reacting to the other without a prior sense of self would be seen as a pathological condition. In the nation that sense derives from a living relationship with the past. Most people, like most nations, are capable of thinking of themselves as a precondition to thinking for themselves. 9. If you want a national identity, people have got to want to identify and have a reason for doing so. Our current predicament is that the main channels of national identity as mapped, for example, by Linda Colley in Britons (1992) have almost run out. In the 1960s relationships that for over 200 years had sustained the British people began to erode: their relationship with Parliament and the belief that it was sovereign and essentially belonged to them as key component of a free society; their relationship with the armed forces and the idea of a superior British imperial world; their relationship with Protestantism and the idea of a free heritage; their relationship with manufacturing and their reputation as the world’s oldest industrial nation; and finally their relationship with themselves as British and alike and growing more alike in fundamental ways. When the Millennium Dome was erected its organisers didn’t know what to put in it. They certainly didn’t put any of this stuff in it. In other words in 2001 there was no ‘manifest doctrine’ of Britishness as there had been in 1851 or even in 1951. It was not so much that the British people had ceased believing in themselves; it was more that over a very short period the conditions of that belief had evaporated. Between the Festival of Britain and the Millennium Dome, say, British national identity was no more. In recent times the British state’s thinking has been federal, multicultural, and free market – a soft Thatcherite mix which, according to the last five prime ministers at least, was more befitting the minimum process known as ‘Europe’ and the maximum process known as globalisation. Our current predicament is that none of this thinking has been sympathetic to the principle and the practice of British national identity. Robert Colls is the author of Identity of England (OUP, 2002). He will take up the Chair of Cultural History at De Montfort University in October.